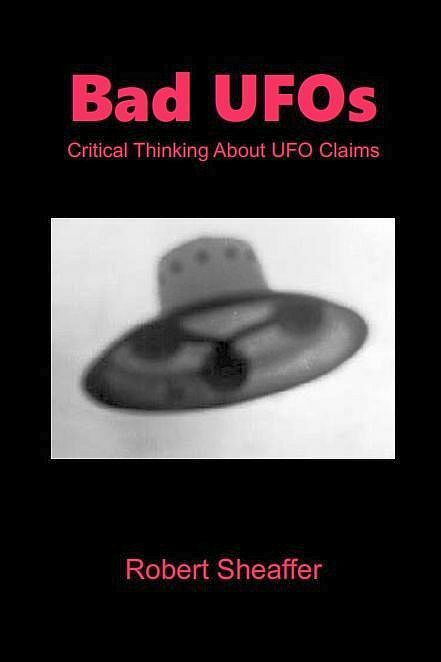 What with all of the publicity concerning To The Stars and government UFO programs, UFOs have once again become a hot topic to the public, and to the major media. So sometimes UFO reports grab major publicity, even cases in which just a little investigation leads to a clear solution. a particularly bright plane that falls into a dive. Then that same light suddenly stopped. And a few seconds later, a short distance later, another one came up. From that moment on, the two lights moved much more slowly. A movement that led conspiracy experts to think of two unidentified flying objects. Our friend Scott Brando of "UFO of Interest" was quick to point out the similarity to other videos of parachutists carrying smoke or lights. Scott has been doing an excellent job exposing hoaxes and misidentifications posted on social media. There are a lot of them, so it's been keeping him pretty busy. The United States Navy Parachute Team “The Leap Frogs” is the official parachute demonstration team of the United States Navy. Part of the United States Naval Special Warfare Command. The Leap Frogs Navy Parachute Team is made up of active-duty Navy SEALs, Special Warfare Combatant-craft Crewmen (SWCC) and support personnel. 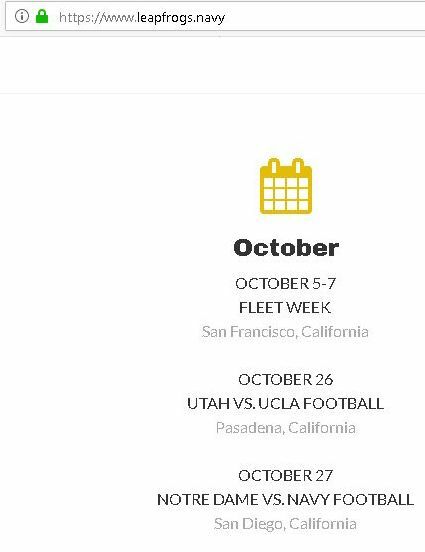 The team is sanctioned by the Department of Defense and recognized by the Federal Aviation Administration. So that one is nailed down pretty tightly: the "UFOs" were Navy parachutists. The Irish Aviation Authority has begun an investigation into the sighting of an unidentified flying object (UFO) by a number of aircraft off the south-west coast of Ireland last Friday. At approximately 6.47am on November 9, the pilot of a British Airways flight, call sign Speedbird94, contacted Shannon Air Traffic Control (ATC) to ask if there were military exercises taking place in the airspace through which her Boeing 787 was passing. There were no military exercises underway. 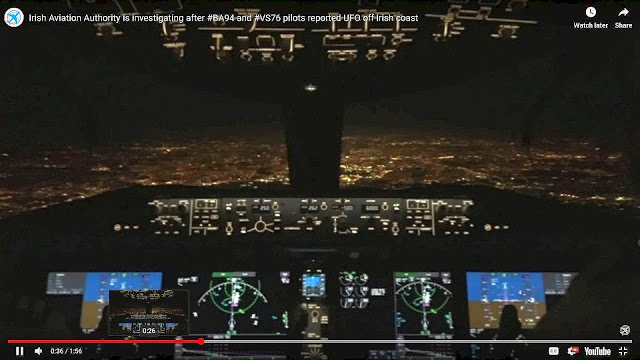 The BA pilot, flying from Montreal to Heathrow, describes how the UFO came up along the left-hand side of the aircraft, “then rapidly veered to the north”. She said it was “a very bright light” that “disappeared at very high speed”. She said they were “wondering” what it could be, that it did not seem to be on a collision course. ... The Irish Examiner contacted the Irish Aviation Authority to ask if it was investigating the UFO. The incident was reported in many different media. "ALERT Irish Aviation Authority is investigating after #BA94 and #VS76 pilots reported UFO off Irish coast." The reports were widely shared on social media. A video from a dashboard camera was published, revealing a very brief, very bright object. The International Meteor Organization received five reports of "a fireball seen over Northern Ireland and Scotland on Friday, November 9th 2018 around 06:44 UT." Observers reported that it was extremely bright - brighter than the full moon, although not as bright as the sun. The local time here is the same as UT, so this occurred about 6:45 AM - otherwise it probably would have been even more widely reported. Graphic showing the location of the bolide, and of the observers. Incidents such as these, widely reported, serve to keep UFOs in the public eye. And as always, more people see the article proclaiming the incident to be "unexplained" than see the eventual solution.